We received some shocking information which may explain a lot of this… and it’s a bombshell! The marriage of Actress and Fiery did not automatically form a tight foursome between them and Fiery’s brother and his wife, who we’ll call BIL and SIL. Actress and SIL did not warm up to each other. SIL thinks that Actress is a very manipulative social climber. Fiery and BIL used to be extremely close, but the tension between their two wives created a rift between the brothers. Let’s throw a couple more stressors onto the pile. Actress and Fiery are expecting a baby. And SIL recently learned that BIL couldn’t keep his zipper up around one of her friends. Now, SIL is nobody’s fool. She did not like the way Actress tried to ingratiate herself into the family. And she did not wait around for years to marry BIL only to have him cheat on her. So, Actress and SIL are having problems. Fiery and BIL are having problems. And BIL and SIL are having problems. Everybody is completely stressed out. The two married couples – who should be close – are now drifting apart. Actually, they are more than drifting apart. Couple 1 and Couple 2 have basically broken up with each other. They are divvying up staff and duties and physically moving apart. Now, you might think that getting some distance from each other will resolve the situation. Not really. There is one significant piece of this story that is missing that explains all of the stress and all of the conflict. It has to do with something that happened on one of the rare occasions that Couple 1 and Couple 2 were together. All four of them were drinking, and a couple of them were smoking weed. SIL retired early. Fiery passed out drunk. 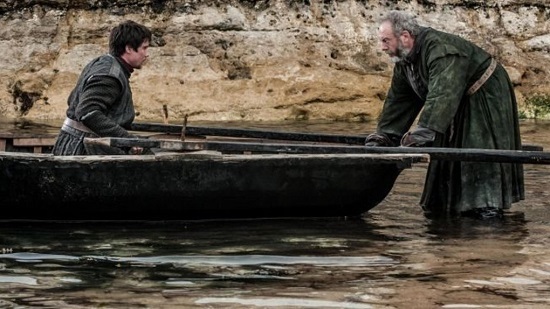 That left Actress and her brother-in-law, BIL, alone together. Actress and BIL hooked up. It only happened once. 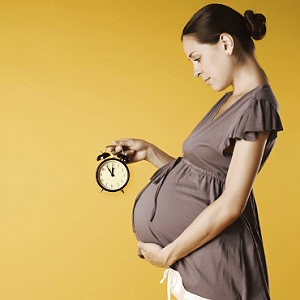 But a few weeks later, Actress realized she was pregnant. Then came the tests. And the shocking truth: BIL is the biological father of Actress’ baby! There is going to be an announcement about the situation on Monday. We don’t know if it’s an announcement about the baby or an announcement that one of the couples is divorcing. Either way, it’s going to come as a surprise to a lot of people. [Optional] What do you think will happen? Meghan Markle has certainly created her share of controversy since joining the British Royal Family. Well, things just got even more controversial. We hope you are sitting down, because The British Royal Family issued several shocking announcements this morning! Meghan Markle had her baby… Prince William is the biological father… they named the baby after Princess Diana… and Meghan and Prince Harry are separating! Any one of those items on their own would be a big news story, but the combination of all four of them makes this an absolute bombshell! His Royal Highness The Prince of Wales is pleased to announce that The Duchess of Sussex was safely delivered of a daughter today. 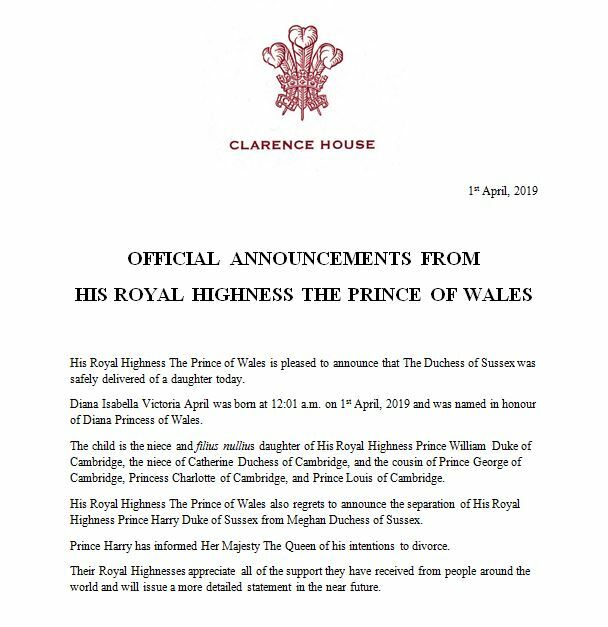 Diana Isabella Victoria April was born at 12:01 a.m. on 1st April, 2019 and was named in honour of Diana Princess of Wales. The child is the niece and filius nullius daughter of His Royal Highness Prince William Duke of Cambridge, the niece of Catherine Duchess of Cambridge, and the cousin of Prince George of Cambridge, Princess Charlotte of Cambridge, and Prince Louis of Cambridge. His Royal Highness The Prince of Wales also regrets to announce the separation of His Royal Highness Prince Harry Duke of Sussex from Meghan Duchess of Sussex. Prince Harry has informed Her Majesty The Queen of his intentions to divorce. 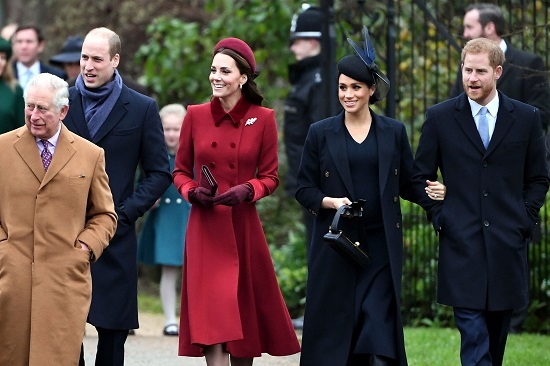 Their Royal Highnesses appreciate all of the support they have received from people around the world and will issue a more detailed statement in the near future. This is a real-life Game of Thrones scenario, where the relationships are complex and all the players are engaged in a power struggle. We don’t speak Latin, but that filius nullius issue sounds important. We have a feeling that Meghan Markle’s daughter – who will be known as “Diva” due to her initials – will be the Gendry of The House of Windsor. You can bet that when she is old enough, someone is going to stick Diva on a rowboat and make sure she is kept out of sight for a few seasons. Congratulations to Hannahhkate for being FIRST with the correct response! We have an exclusive first look at the new royal baby, Diana Isabella Victoria April, a.k.a. Baby Diva! Scroll down to see the photo! Did you believe this crazy story? If you did, you are an April Fool! Every year, people. Every year. The idea for this year’s April Fool’s blind item about Baby Diva came from the latest round of royal rumors that have Prince William possibly cheating on Kate Middleton. 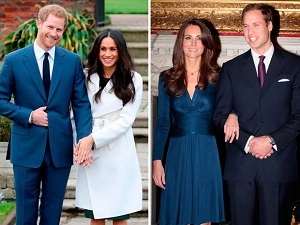 Throw in Meghan and Harry’s partying past, Meghan’s pregnancy, her relationship with Kate, speculation over the royal baby’s name, and a Game of Thrones-like plot… and you’ve got a wild intersection of stories perfect for an April Fool’s Day joke. Thanks to everyone for playing along! We hope you enjoyed this year’s joke blind item! was standing on line at the grocery store the day after reading this and being pissed off–and it hit me===DUH APRIL FOOLS! You got me AGAIN!!!!!!!!!!!!! BRAVAAA!! They got me, that’s for sure!!! Epic!!! I posted the same thing and my post was never approved. Figured I was “outing” the joke. This is the best April Fools blind you have ever done BG! Great job! Happy April Fool’s Day Ace! Love that yearly creative prank you pull. This must be the April Fool’s Day blind posted early. Monday is April Fool’s Day…. I highly doubt William is actually Meghan’s baby daddy. This better be an early April Fool’s blind! What a BEAUTIFUL April Fool’s joke, Ace. Amazing. Dear holy god. This CANNOT be happening!!! April Fools Day on Monday! April Fool’s is the worst. Well…..today is April 1st, so I’m dubious now. Plus, find it impossible to believe that the Royal Family would announce the birth of a baby and call it a bast*rd at the same time. Nah, this was all a set-up for an April Fool’s Day joke. Nice touch BG, DIVA! April fool! Have we been pranked? 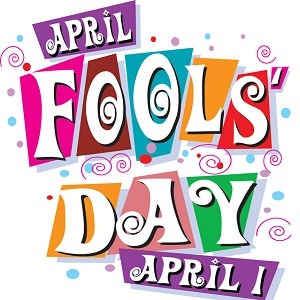 Today is April Fool’s day. It’s a fantastic story. I really enjoyed it despite knowing that April 1st is coming. * will hit the fan if anyone finds out. Good grief. I thought Will was smarter than that (and his brother). Markle is bad news for the royal family. Worse than Sarah Ferguson. She makes Americans look bad 🙁 One bad apple….doesn’t spoil the bunch. Meghan knew exactly what she was doing. I just hope Kate will stick with William. So sad. Is this an April Fools Joke???? Don’t feel like a fool, Lober. Ace gets ALL of us a time or theee. LOL! What will happen? No idea but holy $hit! This is an epic April Fools day blind. I think Monday is the PERFECT day for this foolish story to unravel! However, I think this is an APRIL FOOLS blind, no way this is true. Monday is April 1. Nice try BG, but I’m sure some of your fans will choke on their coffee thinking this is really about the royals. Clutch the pearls! Ahhh I see now. This is your April’s Fools item, isn’t it? This is too crazy to be real! This had me completely confused till I was able to put names on them… and then it all made sense. hahahahaha we all know what Monday is!!!!! No! I find it hard to believe that William is the father of Meghan’s baby, but then Kate has been looking very thin and stressed lately…poor Harry, that didn’t take long for the axe to fall there (if it’s true – William’s kids tend to look a lot like him, so I guess we’ll have to wait for it to come out to see what it looks like…). Bombshell indeed! Ha, I’ve got it now, it’s an April Fool’s joke of course – well played Blind Gossip! This is tabloid level scraping the barrel bs. I get that Meghan is a ‘civilian’, but really? And defame the future Kind whilst you’re at it? Please. It will be buried by something bigger when/if it’s announced. Probably the Brexit stuff. Please tell me this is an April Fool’s post. I’m noone’s fool either! Supposedly about the Royals (Harry Megan, Kate Wills), but since Monday is April 1 methinks jokes on us! I actually don’t believe this story. This isn’t true. Some bored troll wanting to rustle our jimmies. Monday is April Fools Day …. so I would imagine this is a (pre) April Fools Prank. It’s blatantly an April fools. If you google it nothing comes up.! I think…EARLY APRIL FOOL’S DAY! WoW!!! Meghan Markle is pregnant with Prince William’s baby? April Fools a few days early?! LOL! Ace you are the best at April Fools day! This is Kate, Wills, Meghan and Harry. Ya right, this is an April Fool’s joke for sure!